If there's any politician that you'd think would be supportive of primary contender Jered Bonneau, it would be Spokane Valley Rep. Matt Shea. In 2014 and 2016, he refused to support incumbent Rep. Cathy McMorris Rodgers. And in the primary this year, you could pretty much call Bonneau a "Matt Shea Conservative." Bonneau listens to Infowars. Shea has been interviewed multiple times on it. Bonneau argues that the government has dramatically abused its powers of surveillance and due process. So has Shea. Bonneau argues that any restrictions on guns is unconstitutional. Shea has called for a show of civil disobedience after Washington state passed a voter initiative requiring background checks for firearm purchases. Bonneau started a small militia, saying they could help law enforcement in the event of a crisis. Shea has argued that preparing for the governmental collapse means being well-armed and well-trained. Bonneau echoes, chapter and verse, Shea's complaints against Sheriff Ozzie Knezovich. And so when Bonneau first announced his candidacy, he specifically noted that he would be seeking Shea's endorsement. Yet he found himself getting ghosted. “I've tried meeting with him, but as everybody knows, he’s pretty hard to get ahold of," Bonneau said in an interview with the Inlander last month. "I have not had that meeting with him." And then, as first reported by the Spokesman-Review, Shea announced that he was supporting McMorris Rodgers instead. It shows how, even as McMorris Rodgers has distanced herself from the alt-right, she's been aligning herself more closely with a different part of the GOP fringe — the patriot movement — as she gets ready to face her first truly competitive election. Even though McMorris Rodgers is nearly certain to survive the top-two primary, her performance — and the performance of her Democratic competitor, former state Sen. Majority Leader Lisa Brown — could have major impacts on fundraising and voter enthusiasm. If McMorris Rodgers crushes Brown in the primary, it could hobble the Democrat for the general election. But if Bonneau — or fellow Trump-loving conservative Dave Saulibio — gained traction it could split the vote. In 2016, primary candidates like independent Dave Wilson and Republican Tom Horne chipped away at McMorris Rodgers' vote total, resulting in the incumbent only getting a mere 42 percent of the primary vote. 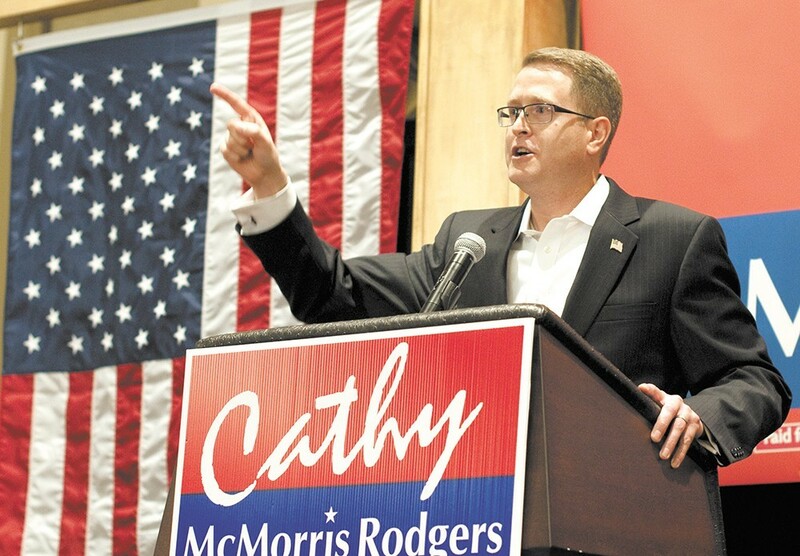 It's not the first time Washington state Rep. Matt Shea has thrown his support behind U.S. Rep. McMorris Rodgers — but it's been a while. In the past, the Inlander had pointed to the distance between McMorris Rodgers and Shea as a evidence of McMorris Rodgers' relative moderation. "I can tell you Cathy McMorris Rogers [sic] has supported bills like the Energy and Infrastructure Act antithetical to Constitutional Conservatism and endorsed against and/or opposed every good conservative in this area," Shea wrote on his website. Today, that language on his website has changed. Shea's endorsement, in which he spells the congresswoman's name "Cathy McMorris Rogers," argues that she has been an asset. "The Democrat plan is Trump impeachment and chaos," Shea wrote on his website. 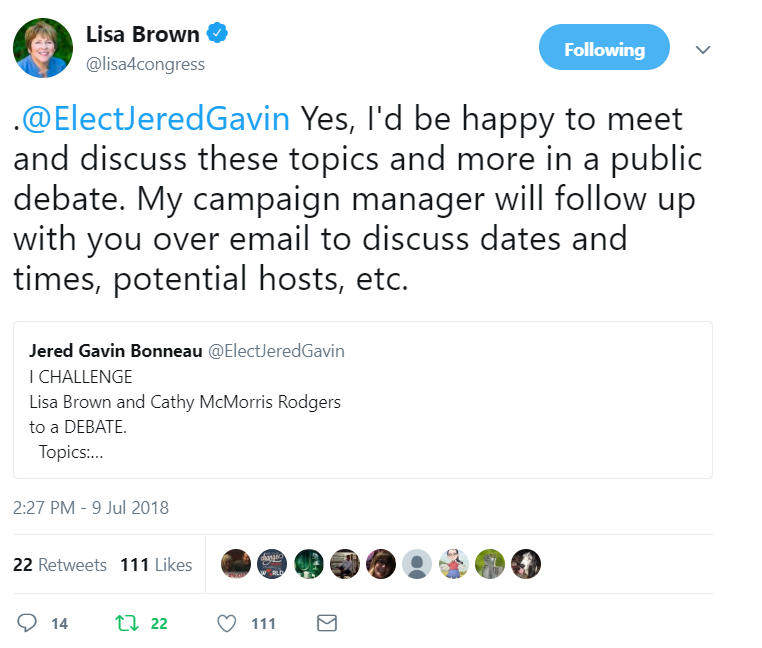 "Lisa Brown is a committed socialist arguing for more government, higher taxes, and less freedom. 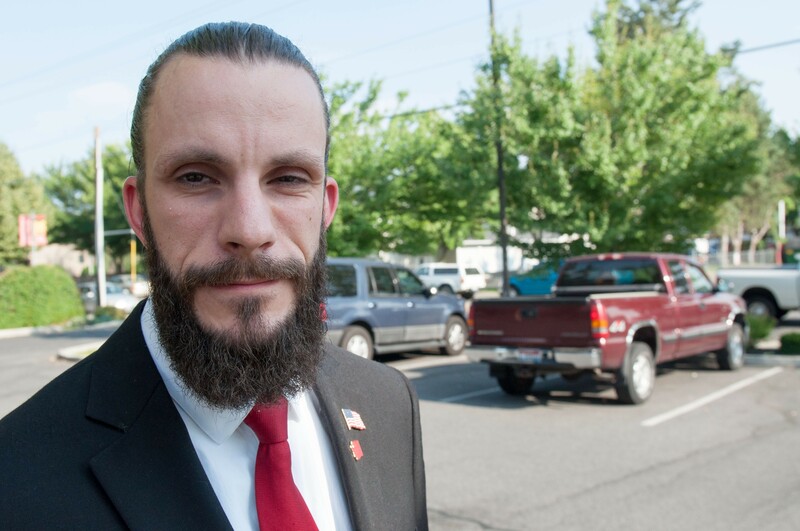 Cathy reached out to me this year and was very helpful in the pardon of the Hammonds and other veterans issues." Last month, Trump pardoned Dwight Hammond Jr. and Steven Hammond, two ranchers, who had been sentenced to the minimum five years for arson on public lands, after the federal government successfully appealed a lighter sentence. The Hammond case inspired the occupation of the Malheur National Wildlife Refuge in 2016. Shea was such a supporter of the action he drove to Oregon, intending to speak with the local sheriff to convince him to support the occupation. Similarly, Shea was heavily involved in championing the 2014 standoff at Cliven Bundy's ranch. "They stood the line when everybody said they were 'radical' and that they were 'domestic terrorists.' And you know what happened when we stood united on principle and didn't waver?" Shea enthused at a celebration of the standoff in 2014. "We won and those tyrants tucked tail and they ran," Shea says, his finger thrusting into the air. "And that's the way it's supposed to be in America! They're supposed to be afraid of us and not the other way around!" It could have been something that united Bonneau with Shea. 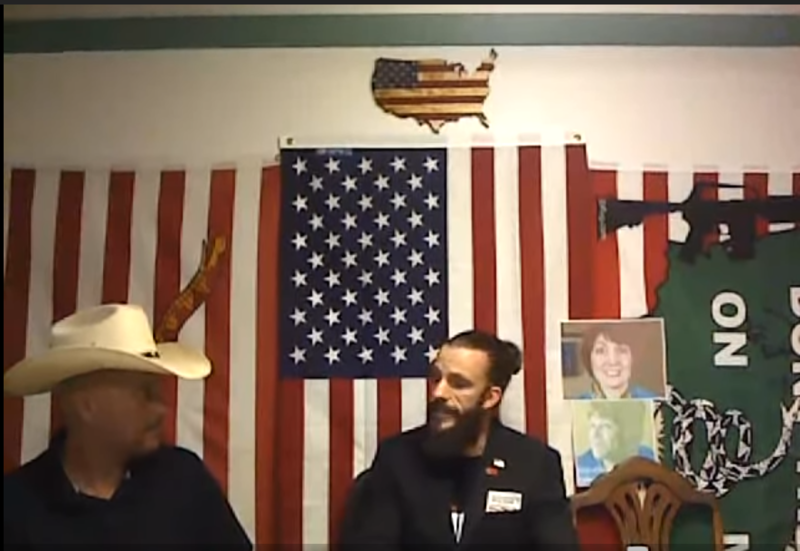 Bonneau was such a supporter of the Oregon standoff that he got a tattoo on his right shoulder commemorating the death of refuge occupier LaVoy Finicum. He watched a live-stream of the standoff while he was on his break at work. "They murdered him in cold blood," Bonneau says. He says he supported the Bundy standoff in Nevada, too, but his wife was nine months pregnant at the time: “She goes, ‘If you go, I’m going to f—-in' kill you,’” Bonneau says, chuckling. It's not like McMorris Rodgers is unwilling to distance herself from certain controversial figures within her party. As the Spokane GOP has been shaken from the fallout of its former board chair's defense of local white supremacist James Allsup, meanwhile, some critics on social media have tried to use an old photo of Allsup with McMorris Rodgers to link the two. Yet after the extent of Allsup's allegiance to the alt-right became very public with the rally in Charlottesville, McMorris Rodgers has repeatedly condemned Allsup and his message, arguing he has no place in the Republican Party. According to the internal minutes for the Spokane GOP's June 5 meeting, Ashley Stubbs, then communications director for Cathy McMorris Rodgers, warned then-Spokane GOP Chair Cecily Wright and other members of the GOP board that Allsup was a "known neo-Nazi white supremacist." Stubbs, according to the minutes, specifically pushed for a press release to be issued to condemn Allsup and suggested four specific points to be included in the release. Nevertheless, Wright hosted Allsup five weeks later at her libertarian-leaning Northwest Grassroots group, and defended Allsup as a victim of "label-lynching." Since then, Wright has stepped down as chair. Several other GOP board members have stepped down as well, including James Allsup's fiancee, Abigail Osborne. But how McMorris Rodgers has responded to Shea is markedly different. To be clear, Shea, for all his controversial statements, isn't a white supremacist like James Allsup. He isn't a member of the alt-right movement. Still, Shea has made plenty of waves — and enemies — over the years. And not just for the road rage incident where he pulled out a gun. Former County Commissioner Todd Mielke has recounted Shea demonstrating "spontaneous, extreme anger" at him. Sheriff Ozzie Knezovich calls him a liar and slammed him for trying to link one of his deputies to a triple murder. Before state Sen. Bob McCaslin died, he wrote a letter insisting "under no circumstances would I support Matthew Shea for any public office." Shea almost never speaks with the press, referring to the Spokesman-Review as the "Socialist Review" and the Inlander as the "Inslander." In the past few years, Shea has devoted much of his time and passion giving speeches arguing that making Eastern Washington the 51st state isn't just ideal, it's feasible. And those who would dismiss Eastern Washington residents as hicks or rubes, he said, were guilty of "label-lynching." But tellingly, McMorris Rodgers didn't dismiss Shea's 51st state proposal in her interview with the Spokesman-Review. Instead, she sympathized with it, noting she supported a proposal to give each Washington state county its own senator — a proposal which would have strengthened the political power of rural areas of the state significantly. And last Wednesday, at a Cathy for Congress Pro-Life Unity Rally, Shea was the one who read the pledge of allegiance. He also got a chance to join other legislators in sharing their views. A photo of the event features him in the front row, just a few feet away McMorris Rodgers. By now, Bonneau doesn't expect to win the primary. He's hoping to get 10 to 15 percent of the vote, but he knows that's a challenge too. "I sought out a few. I met with a few. Not all the ones I sought out with would meet with me, but I did meet with a few. They understand me, where I'm coming from," Bonneau says. "They like me as a candidate, they like me as a person. But they can't endorse me, because the people endorsing them are endorsing Cathy — the GOP." He laughs a little bit of a weary laugh. Even Wright's Northwest Grassroots group endorsed McMorris Rodgers, though the endorsement drips with contempt for McMorris Rodgers and her "crony globalist friends." Voting for McMorris Rodgers was necessary to defeat Lisa Brown, who they saw as a genuine evil. But the debate never happened. Bonneau says that he reached out to Brown's team, but says they refused to participate in a debate where McMorris Rodgers wasn't participating. Brown campaign spokesman Jack Sorensen tells the Inlander that Brown welcomed "an opportunity to debate with him and the congresswoman" and says that it is "unfortunate" that Bonneau never heard back from McMorris Rodgers. No matter what happens, Bonneau says that he's not going to let a defeat in tonight's primary stop him. "I'm going to continue. We're not stopping," he tells the Inlander. "We've created this movement that people in this district are sick and tired of career politicians. They're sick and tired of seeing people like Cathy who don't care about their constituents." Bonneau, at least, says he's not going to join Shea in endorsing McMorris Rodgers. "I won't endorse Cathy. I won't endorse either party. I'll probably write myself in," Bonneau says. "Cathy is corrupted. I don't believe in Lisa's [positions] on certain things. I can't support either one of them."